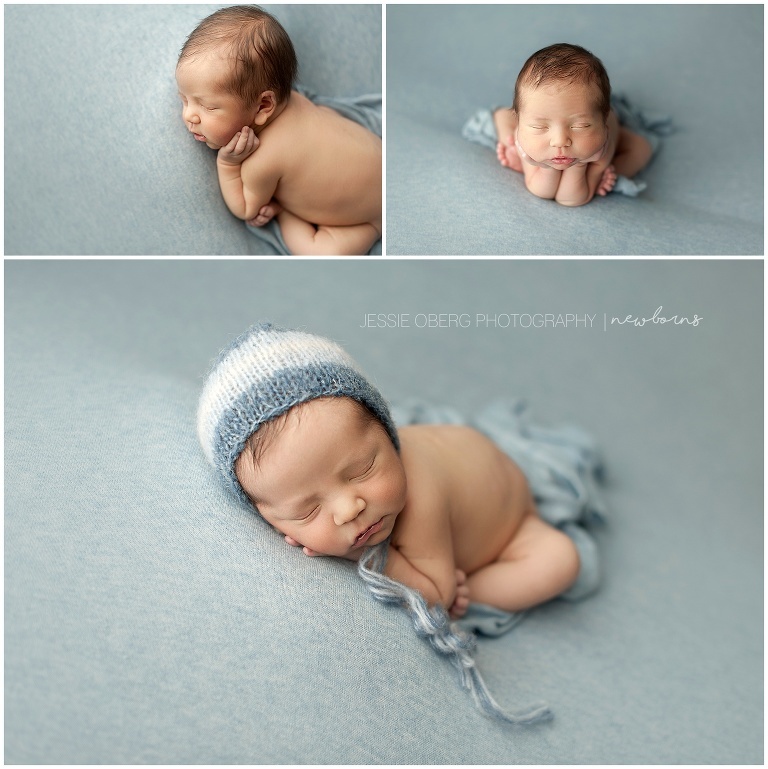 I’m loving how all these Earthy colors came together for Baby Leo’s newborn session. Mama requested tans, light blues, creams and burnt orange. Love when I get an out of the box request. Leo wasn’t a big fan of the modeling life but his pictures turned out so dang amazing and his open eye shots are just the cutest. I would finally get the cute little guy sleeping, take a picture, and he would open his eyes up again, look at my flash and proceed to look around for the next 10 minutes. Repeat x200. Haha! His eye contact was amazing though and those shots ended up being my favorite ones of all.